An incredible Demerara rum from the Diamond distillery in Guyana. The distillery is noted for having 9 stills, one of which is a wooden double potstill, inherited from the Royal Navy. Rums such as this dark, sweet offering traditionally made up the base of the Navy’s speciality rum blends. This 15 year old offering is dense and chewy, with gorgeous notes of fruit cake and crumbling dark sugar. Matured in former bourbon barrels, these impart a wonderful vanilla note that lingers long into the finish. 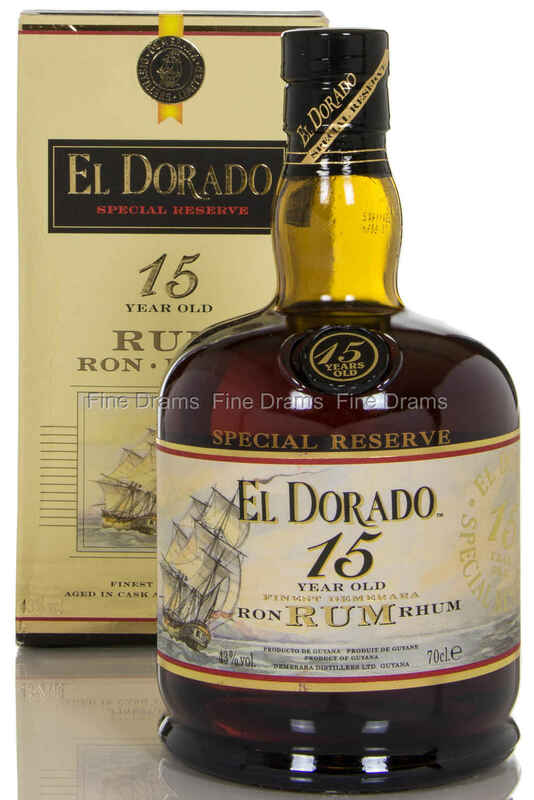 It has long been recognised as one of the best rums in El Dorado’s line-up, winning the coveted “best rum in the world” title from the International Wine and Spirits Competition for four years in a row. Rum of the highest quality.